Available: Bass Player, Drummer, Guitarist, Guitarist - Rythm, Singer, Songwriter in Rotterdam, South Holland, Netherlands. Posted 5 days ago by Mahadahmed, 31 views. Wanted: Bass Player, Drummer, Guitarist, Keyboardist, Singer, Songwriter in Rotterdam, South Holland, Netherlands. Posted 2 months ago by Steve0, 125 views. Available: Drummer, Drummer - Double Bass, Songwriter, Vocalist - Backing in Rotterdam, Zuid-Holland, Netherlands. Posted 2 months ago by Kamal, 99 views. Posted 2 months ago by shawntell, 96 views. 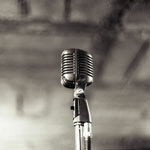 Available: Singer in Rotterdam, South Holland, Netherlands. Posted 3 months ago by Elchin, 85 views. Free Musician wanted and available ads in Rotterdam and surrounding areas. Find a Musician today or a band to play in. An overview of all Rotterdam musician classifieds on Join-A-Band.com.